Considering a Floating Vinyl Deck? Now that summer is winding down; you’re probably thinking about next year and how you can improve your backyard space. If building a deck or patio isn’t possible, based on your home’s structure, budget, or layout, consider building a floating vinyl deck in your yard. Tuff Industries explains how. What Makes a Floating Vinyl Deck Different? Essentially, a floating vinyl deck is similar to a regular deck – it just isn’t attached to your home. It also sits lower to the ground, so it doesn’t require the same amount of support. A floating vinyl deck can be built anywhere in your yard (depending on your area’s building restrictions), so you can choose the best location for it to go to take advantage of a view, privacy, and landscaping. Building a floating deck offers a few advantages over traditional decks, starting with the point above. Additionally, since a floating deck is a separate structure it won’t usually require a building license (but check with your municipality first!). It can add value to your home by creating a separate entertainment space, cover up a poorly landscaped area of the yard, and make your home feel more inviting. The first step is to decide whether your yard is large enough for a floating vinyl deck (most are) and figure out where to build. The key to a long-lasting vinyl floating deck is to have a good base – so your deck isn’t in danger of shifting over time. Decide the size and shape of your deck (it doesn’t have to be square!) as well as how far off the ground you want it to be. You want to install a high-quality ground layer to prevent weeds from coming up under and around your deck. If you are in an area that is subject to intense storms, find a way to secure your deck to the ground. Ensure that the base of your deck is level and will remain that way, so it doesn’t settle or sag over time. No, not really. The “floating” part of a floating deck refers to the look of the deck. The joists of a floating vinyl deck extend past the blocks that the deck sits on top of, so they aren’t visible. This gives the deck the appearance of floating just a few inches above the ground. Note: Check building regulations before you decide how far off the ground your deck will float. If it’s too much (usually about 8 inches), then you’ll also have to install railings for safety. Can a Floating Vinyl Deck be “DIY”? Probably not, unless you are an experienced builder familiar with the concept of a floating deck. 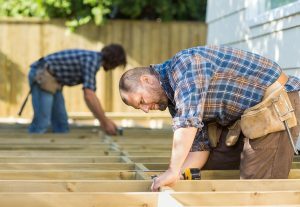 Failure to build the deck properly could result in an unstable deck, a surface that doesn’t waterproof the deck or an unsafe overall structure. You will also need to familiarize yourself with local building laws and bylaws, and apply for a permit. Why a Vinyl Deck Surface? 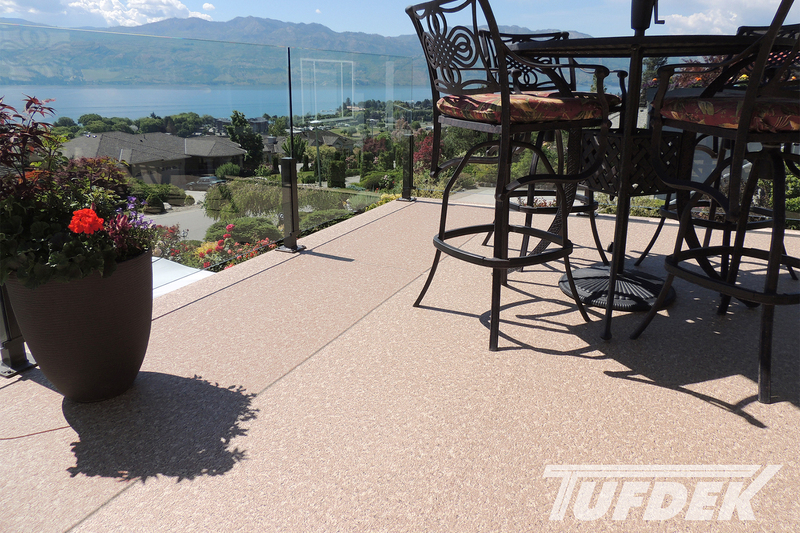 So, why do we think you should install a vinyl deck surface on your new floating deck? Easy – we want your deck to last a long time, as well as cutting back on maintenance. By adding a vinyl membrane to your floating deck, you can protect the wood underneath and essentially create a zero-maintenance space to enjoy throughout the year. 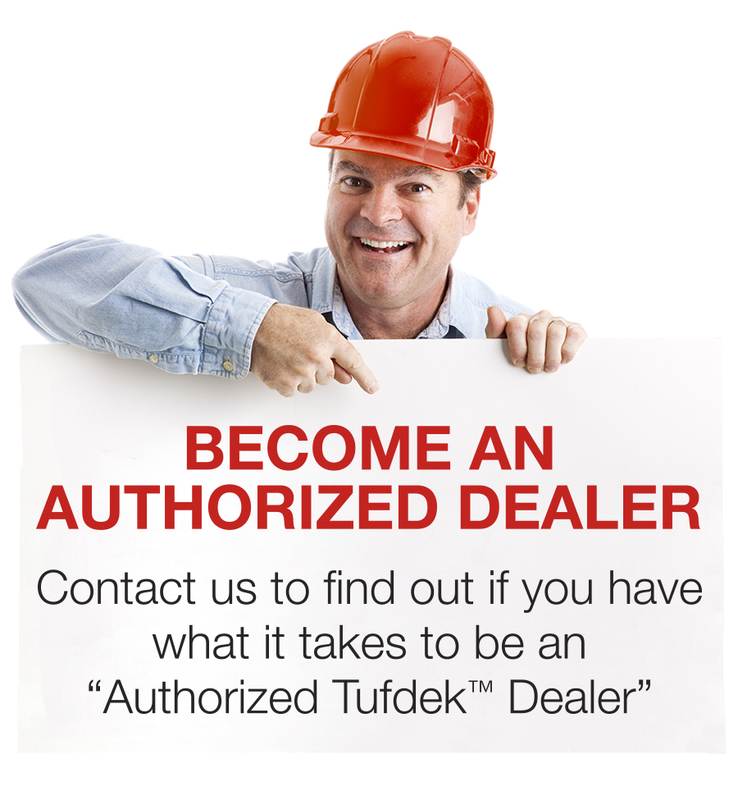 In order to build a safe floating vinyl deck you’ll need professional expertise – call a Tudek™ authorized dealer today!